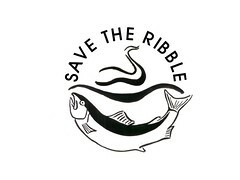 Save The Ribble: A ‘Revitalised’ Riverside, or a Developers Dream? According to the Lancashire Evening Post, the Chairman of the Vision Board, Malcolm McVicar has stated that the Preston Vision Board want ‘to press ahead with plans to revitalise the riverside as it flows through the city – with or without the controversial barrage’. Could it be that Preston Vision Board are finally getting off the “Regeneration” = Concrete mind-set at last, and recognising our fantastic river and riverside areas for the unique and irreplaceable assets they really are? 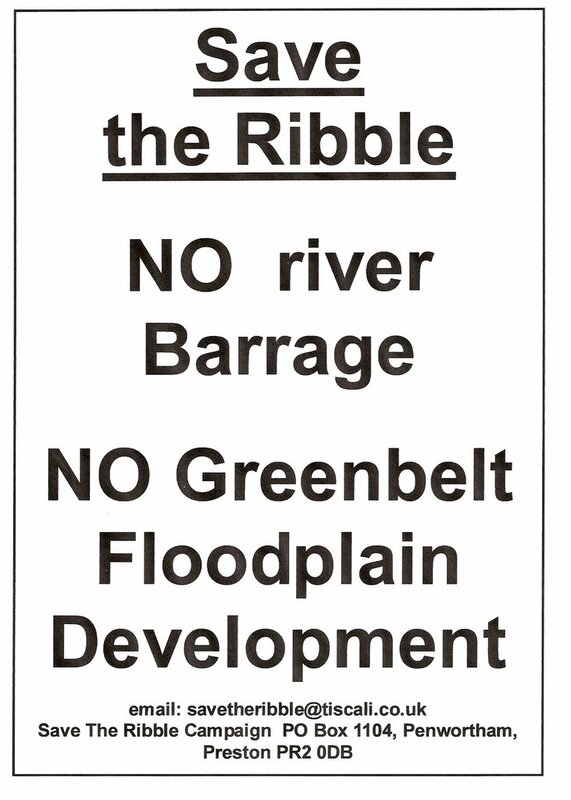 Jane Brunning of Save the Ribble is also quoted in the Lancashire Evening Post saying that ‘she would be quite happy with development of the riverside which did not upset its delicate ecosystem’ as ‘It is a case of working with nature and enhancing it rather than just concreting up the sides of the river as has previously been suggested’. Local people have been arguing right from the very beginning of the summer of 2005, when the Riverworks scheme first reared its head, that what WE want to see is our natural River Ribble and riverside assets genuinely enhanced by sensitive improvements which WILL revitalise the area for locals and visitors. We are particularly keen that the wetland infrastructure, and riverside and green belt habitats should be improved, alongside improvements to access and facilities for people, and thus ensure this fantastic asset attracts even more visitors to the area and will also contribute an exciting new facility to the new Ribble Coast & Wetlands Regional Park. It is also the case that restoring wetlands 'reduces flood risk'. 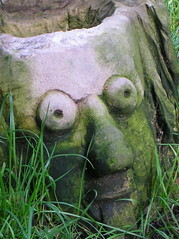 - All of these ideas put forward by local people are in keeping with the objectives set out by the Environment Agency to increase both biodiversity AND flood protection by keeping floodplains undeveloped and increasing wetland provision to protect both local communities and the environment against the impacts of climate change. So could it be that Preston Vision Board are listening to both local people and Environmental organisations at last? Are we finally in agreement regarding “revitalising” our riverside areas? For instance, did you know that, according to Mr. McVicar, ‘In other cities you can walk along the riverside’? Did you know that ‘In other cities… you can live next to it’ as well? Are those of us who DO live right next to the River, in Broadgate, Frenchwood, Ashton, Penwortham, Middleforth, and Walton le Dale, imagining our homes? We must be! Yet, there they are, looking as solid as anything! Clearly you CAN walk alongside the River Ribble, you CAN live next to the River Ribble, and even sit and enjoy a drink and a meal by the River Ribble! Admittedly, since The Continental closed its doors, the choices for local people and visitors about where to enjoy a meal and a drink whilst relaxing by the river are reduced to either the Bridge Inn, the Shawes Arms, or the Tickled Trout - and very nice they are too! - but once the Pavilion café opens in Avenham and Miller Parks, more choices will exist. And yes, there are places, perhaps along the harbour wall off Strand Road where a nice restaurant and another café could be built… but clearly what Mr. McVicar means by revitalising the riverside is building a whole new development ‘alongside the river’ in ways which will not “revitalise” the riverside for people or the environment but make a lot of money for developers at the expense of our unique riverside areas. How many cities do you know have an Internationally-important wetland ecosystem 5 minutes walk from the city centre? How many cities do you know with wildlife-rich wetlands just a stroll away from the main shopping areas? How many times do cities with developments right on their riverbanks flood? So the next question is, where might this ‘dream’ Vision of concrete be? ...Unless, of course, they mean the Penwortham banks too…? We think Mr. McVicar and the Vision Board’s ideas to “revitalise” the riverside must be referring to something like the huge new urban conurbation of thousands of houses, businesses, and riverside walkways, cafés ands restaurants highlighted in the Riverworks brochures for the Penwortham Green Belt, with a number of areas selected on Frenchwood Rec and Penwortham Holme thrown in perhaps...? So, if Preston Vision Board are pressing ahead with these riverside developments, why are they blatantly ignoring Environment Agency advice to stop developing on the floodplain? Why are they ignoring the remit of the Strategic Flood Risk Assessment? Why are they ignoring the obvious situation we are experiencing with increasingly high rainfall and flooding? And last but not least, why are they ignoring the wishes of local people? Mr. McVicar does appear to mention local people as he says: ‘the problem is that some people do not want any change’, and goes on to say that ‘We cannot afford to live in the past’. Mr. McVicar, WE AGREE WITH YOU. Some people do not want any change, they seem to think that the only way to ‘revitalise’ or “regenerate” an area is to carry on doing the same old things that people have been doing in the past: concrete over it and ignore the consequences. We DO WANT change, and WE do not ignore the River: we want to see developments that are sustainable for the environment and for local communities, for a better future for all of us. For the full story, see Lancashire Evening Post and The Preston Citizen. The proposals will be online from February 8 at www.penworthammills.info. Closing date for submissions is February 22. I'm really pleased that there are people out there who actually care about Preston, and the Ribble, and genuinely want to make it better for everyone WITHOUT "throwing the baby out with the bath water" (ie concreting over the riverside). with the help of all of us Ribblesiders - whether Prestonians or South Ribblers - we CAN make a difference. We've already stopped the barrage (for now...) so we need to make sure we do not allow the river and its unique environs to be destroyed in other ways. 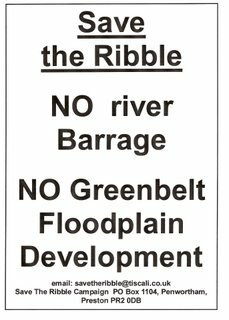 It is easy to despair of ever making these developers and others with Grand Schemes to make a name for themselves and loadsamoney wake up to what an area NEEDS as opposed to what they want to impose on it, but we must fight on to ensure the Ribble and riverside stay wild for its own sake AND ours. The small area that is undeveloped along the banks of the ribble around Miller and Avenham parks is a timeless and unique urban asset that can only be lost with any further development. If Malcolm McVicar is claiming you cannot walk around it and it cannot be used for recreational purposes, he is quite clearly wrong. the dawn chorus that emanats to the surrounding areas from the reserve is a treasure to behold, let us not lose that!